In order to keep your TYPO3 websites future-proof and secure, it is required that you frequently update the TYPO3 core and installed extensions. If you do this task for a handfull of TYPO3 websites, it may be easy to keep an overview of available updates, but with a growing amount of TYPO3 websites, you may experience that it is hard to keep the overview consistent. One solution to keep an overview is tObserver. 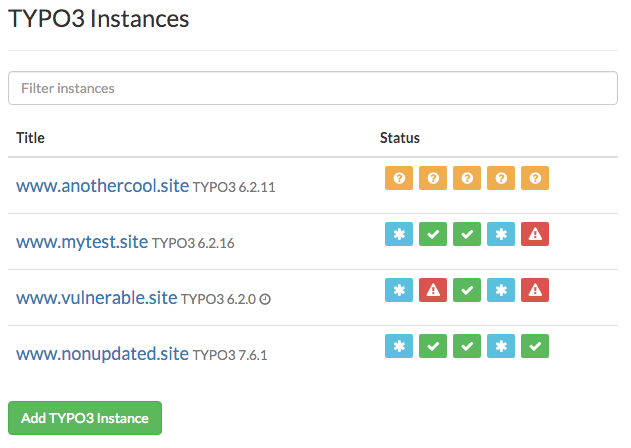 By adding your TYPO3 instances to tObserver, you will get a central overview of all outstanding TYPO3 core and extension updates. 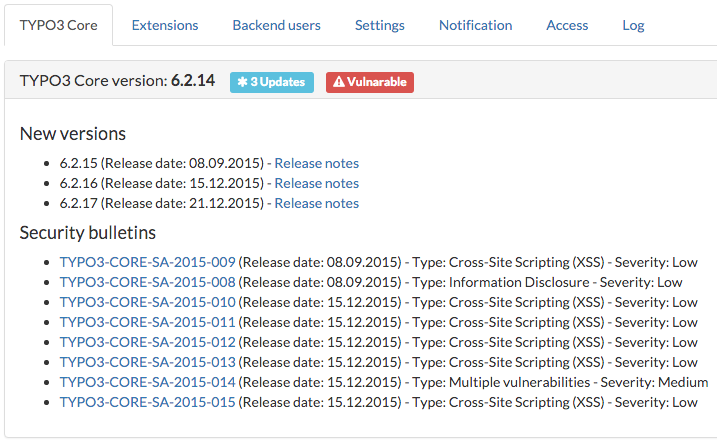 tObserver also warns you, when you use a TYPO3 core version or TYPO3 extensions which has known security issues. You can configure a daily, weekly or monthly e-mail report, that contains important information about the status of each TYPO3 instance individually. More features will be added permanently.